NEWPORT, Ky. — Newport Aquarium has partnered with the American Cancer Society to host a Night of Hope fundraiser on Sept. 18 from 6-9 p.m. as part of a statewide effort to raise money and awareness for the fight against cancer. Managed by the Mid-South Division of the American Cancer Society, a Night of Hope is part of the organization’s Hope Lives Here campaign designed to build support for survivorship across the state of Kentucky. “We are coming together, as a unified state, to light up our homes with purple pride, signifying that we support survivorship and the hope within us,” said Alex Carson, senior manager for Relay for Life at the American Cancer Society. The Night of Hope event will take place on the terrace outside Newport Aquarium’s private events space, the Riverside Room, and will feature guest speakers from the American Cancer Society, local food vendors such as Dewey’s Pizza and live music from The Sam and Mark Project. Attendees will have the unique opportunity to meet one of Newport Aquarium’s beloved African penguins, have their photos taken with these adorable tuxedoed birds, and possibly get an opportunity to feel their feathers. 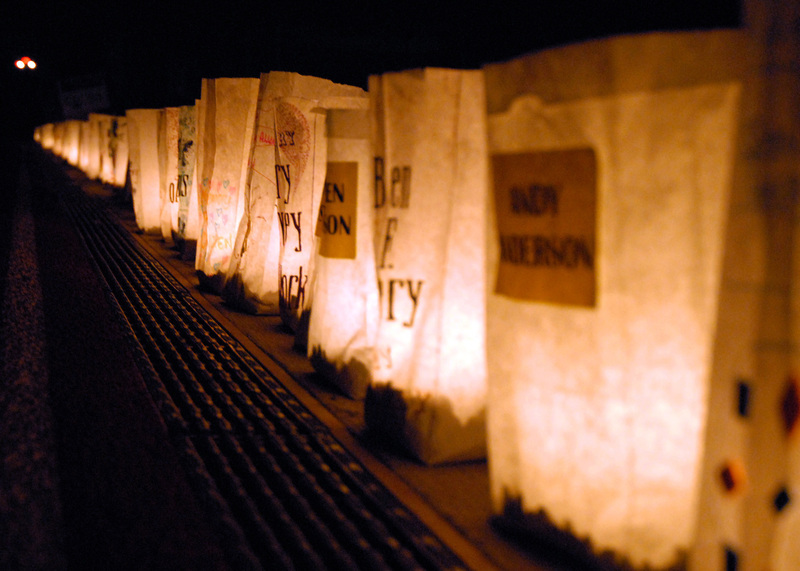 The Night of Hope event closes with a lighting ceremony that offers attendees opportunities to light luminaria in memory of loved ones and to engage in solidarity and hope along the banks of the Ohio River. The American Cancer Society encourages those not attending the event to turn on their porchlights and light up the state in support of the fight against cancer. People who wish to contribute to the Hope Lives Here campaign can visit www.hopeliveshereky.org to make a donation and can receive various thank-you gifts based on donation levels. Thank-You Gifts from the American Cancer Society. Aside from Newport Aquarium, six other venues across the state of Kentucky are participating in Night of Hope events, with more than 1,500 estimated participants. Night of Hope events also celebrate the beginning of the 2016 season for Relay for Life, the ACA’s signature fundraiser held annually in more than 5,200 communities across 20 countries. In addition to partnering with the American Cancer Society for the Night of Hope, Newport Aquarium is also involved with Leukemia and Lymphoma Society and Make-A-Wish Foundation, and has future plans in place to partner with A Kid Again. Newport Aquarium has showcased thousands of animals from around the world in a million gallons of water since May 15, 1999. Named one of the best aquariums in the U.S. by Travel Channel and USA Today, Newport Aquarium is a Herschend Family Entertainment company and an accredited member of the Association of Zoos and Aquariums. The Greater Cincinnati and Northern Kentucky jewel attraction is home to: The world’s first and only Shark Bridge; the world’s first Shark Ray Breeding Program; Mighty Mike – the biggest and baddest American alligator outside the state of Florida; the largest and most diverse collection of sharks in the Midwest; and one of the world’s largest and most diverse penguin exhibits. Newport Aquarium is open to the public 365 days a year and is located across the Ohio River from downtown Cincinnati at Newport on the Levee.